Home / health / How To Make Anti-Inflammatory Turmeric Ginger Tea? Turmeric and Ginger have been used for cooking and as medicinal herbs. Practitioners of traditional medicine also recommend these two herbs for treating gastrointestinal problems, inflammatory conditions and several other conditions. Ginger has strong anti-inflammatory substances called gingerols, that make it excellent for dealing with muscle and arthritic pain. 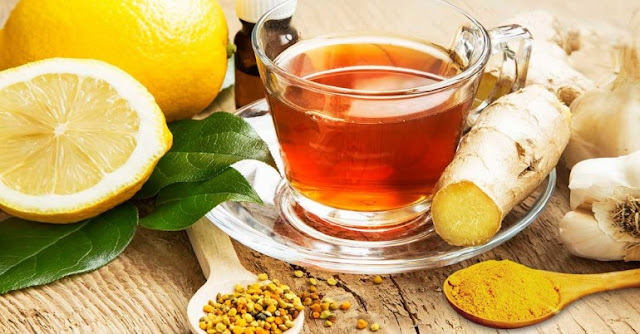 In order to increase absorption in the body (turmeric has low absorption and rapid metabolism), you need to add a little fat to the tea such as a teaspoon of coconut oil or black pepper, which aids absorption of curcumin. Boil water in a saucepan. Next, add freshly grated ginger and turmeric and simmer for 10 to 15 minutes on low heat. If you’re using ground turmeric or ginger, boil for 7 minutes only. Next, strain the tea and add honey and lemon to taste. Also add coconut oil or black pepper for absorption. You could have one cup of tea every day for good health. However, it is advisable for pregnant and breast feeding women to consult the doctor before consuming these herbs. Also, for those taking blood thinning drugs or with a bleeding disorder must first visit a medical practitioner before consuming.